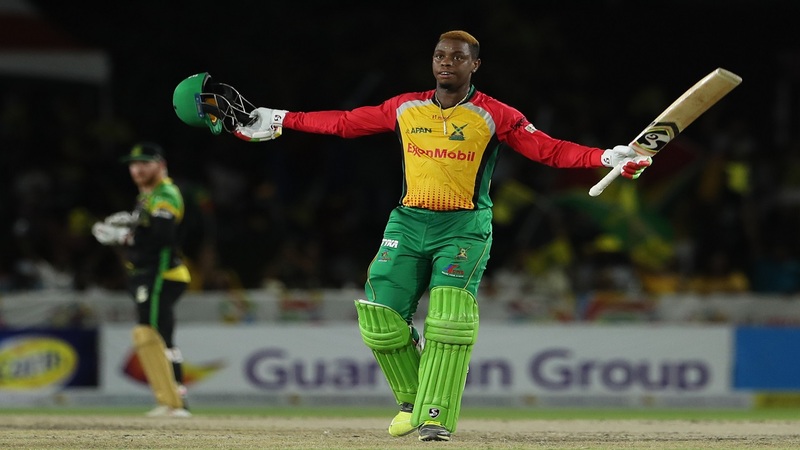 Shimron Hetmyer of Guyana Amazon Warriors celebrates his century during the Hero Caribbean Premier League match against Jamaica Tallawahs at the Central Broward Regional Park in Florida, United States on August 18, 2019. (PHOTO: CPL via Getty Images). 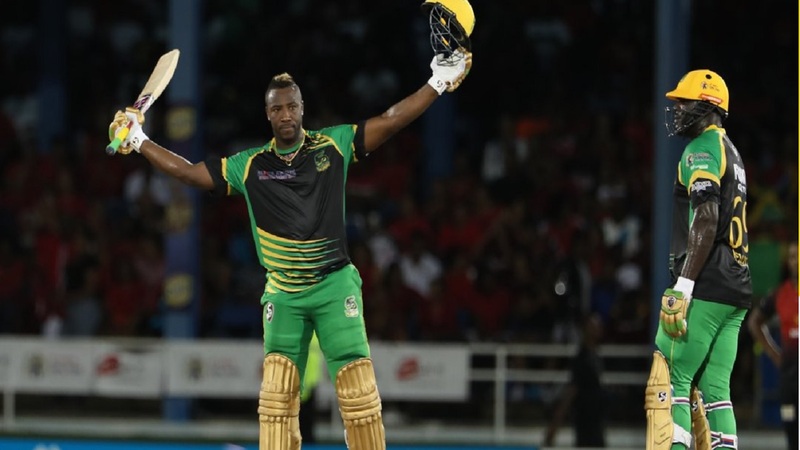 Jamaica Tallawahs suffered their first defeat of the 2018 Hero Caribbean Premier League (CPL) going down by 72 runs against Guyana Amazon Warriors in Florida on Saturday night. The Tallawahs lost their last eight wickets for just 35 runs. Shimron Hetmyer blasted the third fastest CPL century of all time to lead Guyana Amazon Warriors to the victory. The Tallawahs had won their first three matches of the tournament but were blown away by Hetmyer before their run-chase was hobbled by three wickets – including the big one of Andre Russell for just a single – in the space of six balls as their pursuit of the Warriors’ imposing 209 for seven fell away completely after the halfway stage. Imran Tahir kicked off the carnage with an inspired piece of fielding off his own bowling. Picking up the ball in his follow-through, he turned and threw down the stumps with David Miller – making his first appearance of the season for the Tallawahs after arriving from South Africa duty in Sri Lanka – short of his ground despite a desperate dive. Tahir then bowled Phillips for 43 with his very next ball before Devendra Bishoo snared the big man Russell at the start of the 12th over. He was caught, fittingly, by Hetmyer. The supremely talented 21-year-old absolutely had earlier dominated proceedings for the 13.2 overs he was at the crease. Shoaib Malik was far from a silent partner in their 108-run partnership – at one point taking Samuel Badree down the ground for three consecutive sixes and ultimately reaching 50 in just 32 balls – yet still Hetmyer scored 100 of the 149 runs the Warriors plundered while he was in the middle. The ball flew to all parts of Central Broward Regional Park as Hetmyer accrued 11 fours and five big sixes in a whirlwind 49-ball stay at the crease. Spinners were dispatched with particular panache, yet no bowler was spared. When Russell tried to bounce Hetmyer his response was equally emphatic as the left-hander swatted a hook into the stands to reach his 50. He was just getting started, with his century coming up in just 47 balls. 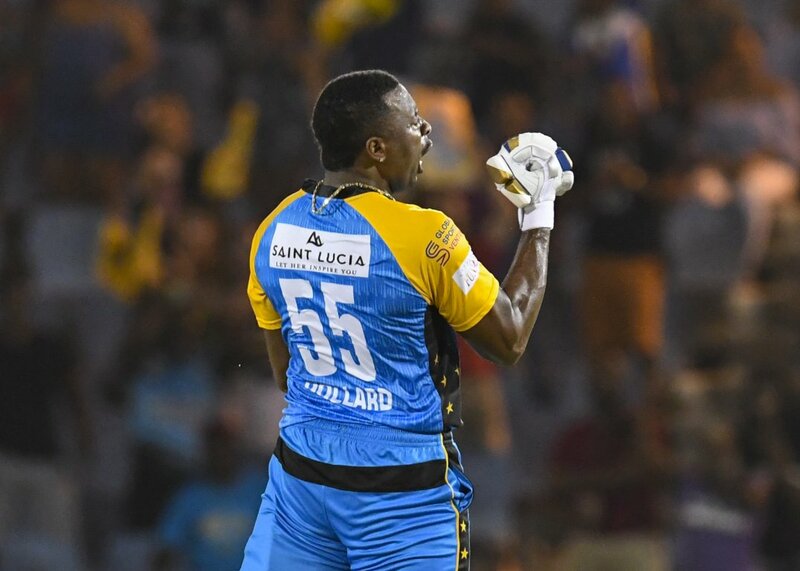 Russell is the only man ever to score a faster one in the Hero CPL, while at 21 Hetmyer is the youngest centurion in the six-year history of the tournament. Hetmyer fell straight after reaching his century, deceived by a clever slower ball from the persevering Oshane Thomas, who also removed Sherfane Rutherford as he pulled things back nicely in his second spell to end with respectable figures of two for 32 after his first two overs had cost 23. With Shoaib falling to Krishmar Santokie for a 50, the Warriors were unable to fully maximize the dominant position Hetmyer had created, with a flurry of wickets as the middle order came out swinging. They still brought up the 200 in the final over, with Rayad Emrit providing the perfect finish with a huge six from Santokie’s final delivery to lift the final total to 209 for seven. Chasing such a target the Tallawahs had little option but to go hard from ball one, and Kennar Lewis certainly took that message to heart as the first delivery of the run-chase went over midwicket for four. Two more boundaries followed, but bowler Keemo Paul got his revenge as Lewis holed out to Malik looking for a fourth boundary of the over. That brought New Zealand pair Glenn Phillips and Ross Taylor together. They were initially watchful after the loss of that early wicket but soon found their stride. Phillips just two from nine balls when he hit his first six but three more soon followed as he raced through the second half of the Power Play. At 67 for one, the Tallawahs were right where they needed to be. Taylor had reached 30 in good time – helped by a rare five when a quick single also brought four overthrows after a wild throw – before he attempted to sweep the excellent Chris Green and popped up a simple catch for keeper Luke Ronchi. Miller joined Phillips and at the halfway stage the Tallawahs were still well on track at 101 for two, before those three wickets in six balls turned things decisively the Warriors’ way. From 102 for two the Tallawahs slumped to 137 all out. 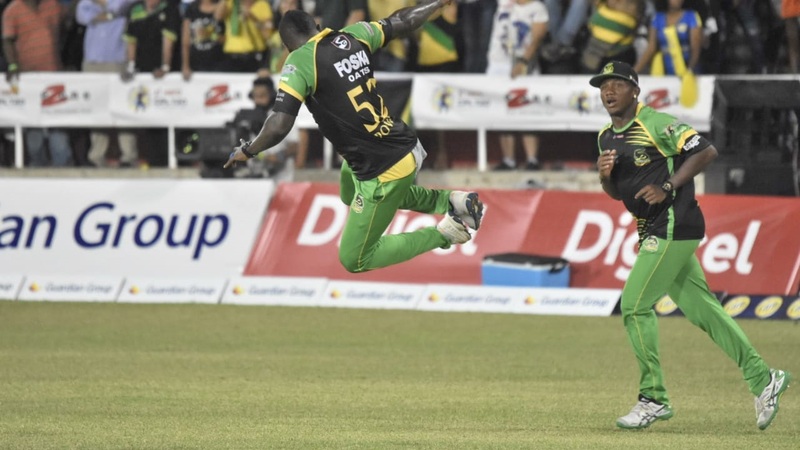 Green and Tahir both picked up well deserved second wickets, while there was little surprise when the last wicket fell to another run out – the third of the Tallawahs’ collapse. Guyana’s victory puts the Warriors alongside the Tallawahs on three wins from four games at the top of the Hero CPL table. Tuesday August 21 – St Lucia Stars v St Kitts & Nevis Patriots (6 pm), Daren Sammy National Cricket Stadium.